A warm, well-made balaclava or ski mask is essential when you’re out on the freezing slopes. Comfort, style, functionality and built quality all come into play when considering which balaclava to go with. To keep your face warm and avoid frostbite, we’ve made a list of our 20 best ski masks to keep your face warm this ski season. Having a freezing face while skiing is not something that you want to experience, it’s important that you have well-fitted ski goggles and also keep your neck covered, these masks do just that. We’ve listed some of our favorite masks for skiing in 2019. The best skiing balaclava goes to the Self Pro Balaclava, well made, warm, and durable. The best snowboarding balaclava is the Redess Fleece lined Balaclava, incredibly warm and great for most winter activities. 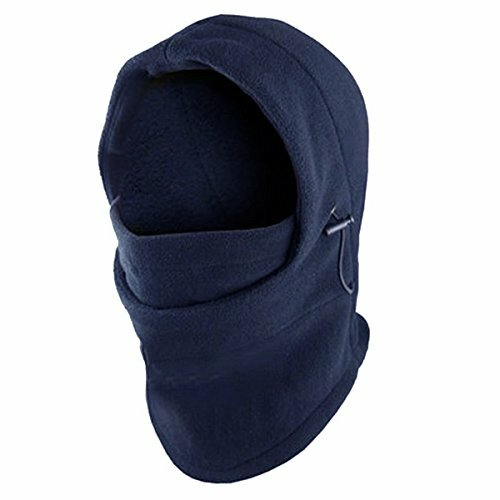 The best full face balaclava is definitely the Self Pro Fleece Hood, exceptionally warm and well made, will keep out whatever the weather throws at you and keep you warm. 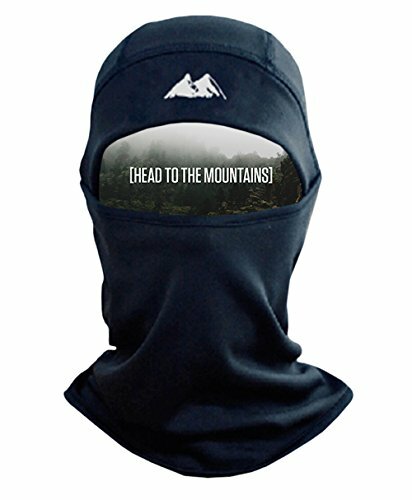 The out and out winner and best winter ski masks are the Mountain Made Balaclava, made for extreme weather and activities, your head and face will be kept warm no matter what you are doing. 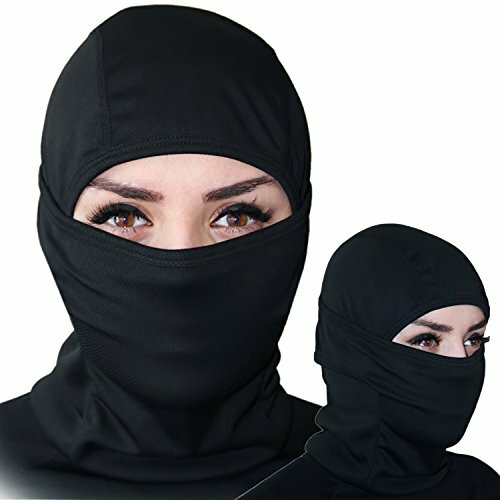 This one size fits all balaclava is made of high quality, thermal polyester. This balaclava will most definitely keep your head, face, and neck warm throughout the winter. The balaclava has thermal heat protection, as well as wind protection. 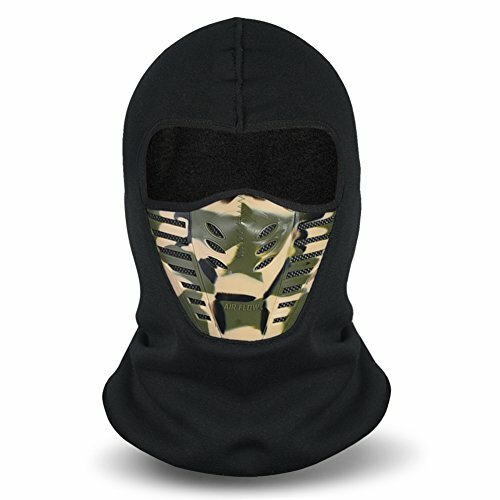 Machine washable and high quality, this balaclava will last you many seasons to come. 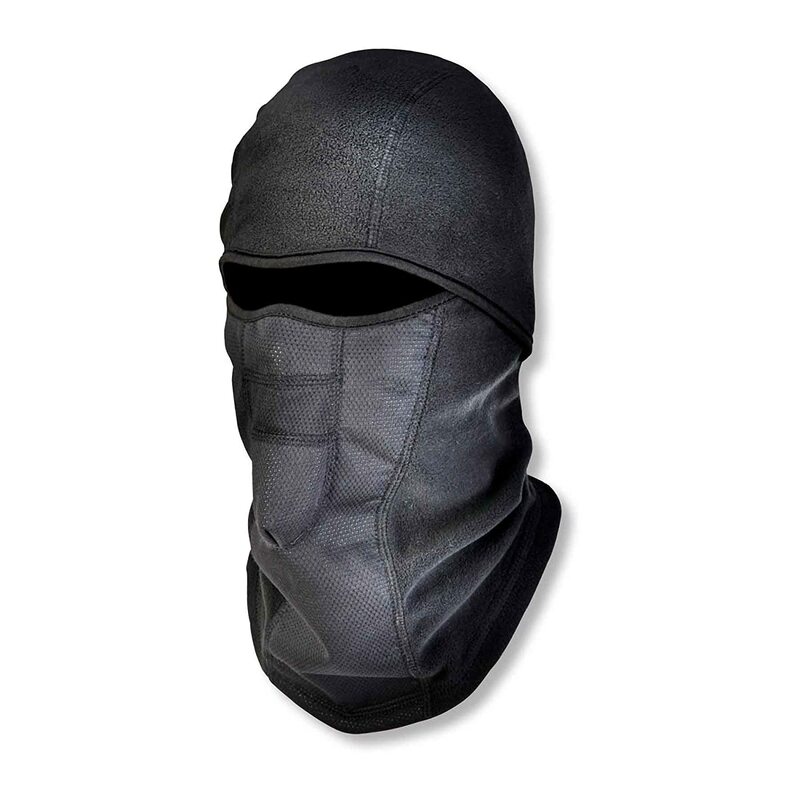 This balaclava is the ultimate mask against rain, snow, wind, dust and UV rays. 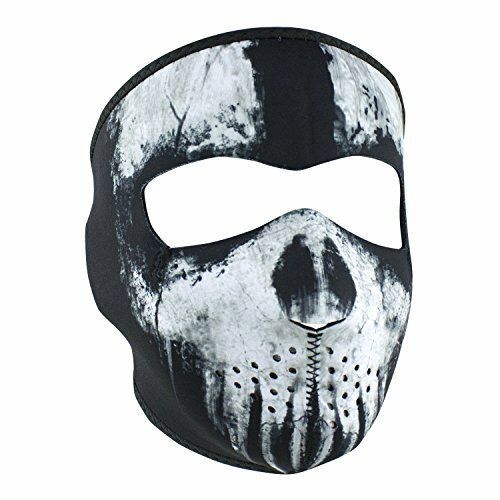 Perfect for any outdoor winter activity or sport, these ski masks will give you full protection while keeping your face warm and toasty while skiiing. The incredibly decent price and the fact that one size fits almost everyone makes this balaclava a great buy. This 3 in one snow face mask, hat and scarf design keeps your whole head and neck warm and protected against the elements. Perfect for when you’re speeding down the slopes or out on the open road on a cold winters day. This ski mask is a great all in one weather protector. The Carhartt balaclava is a 100% polyester, fleece lined helmet liner designed to keep your head and face warm, even in the coldest conditions. The balaclava is also made with fast dry technology which helps to wick away sweat and moisture and stops it from freezing on your head and face. The Cozia balaclava is an incredibly versatile balaclava that can be used year round for biking, skiing, snowmobiling or for a ride on your motorcycle. The balaclavas use CoolMax fibres which help with breathability, moisture wicking and extreme durability. These ski masks are made to last. 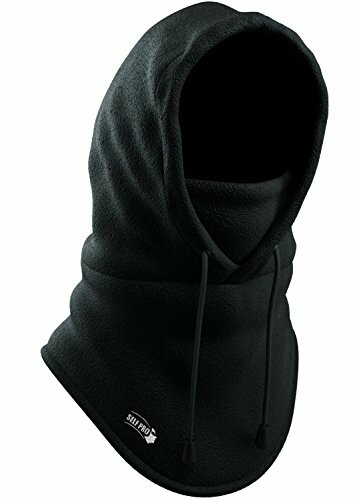 The Backstrap Balaclava hood comes in multiple colours, and its 4 way fabric design allows for multiple wearing options. The hood protects you from UV rays, as well as protecting you from wind, rain, and harsh weather all throughout the year. The comfortable design and soft material allows you to wear the hood for an extended period of time. The Pearl Izumi Barrier Balaclava is a layered balaclava that is wind and water resistant, ensuring your face stays warm and toasty even when the weather takes a turn for the worst. The thermal fleece has brilliant moisture control, while still keeping your face warm. 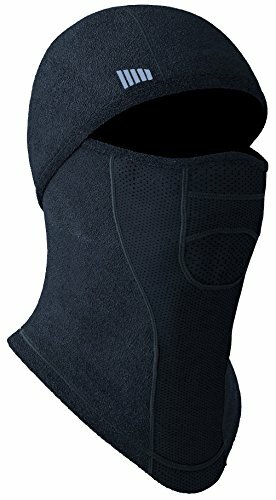 The Seirus Innovation Cold Weather Balaclava is a combo balaclava, having a face, head, and neck protector all in one. The 5 layer neofleece construction keeps you incredibly warm. The balaclava has a tough outer shell, a waterproof and breathable liner, fleece lined neoprene, thermolite insulation, and microfleece wicking lining. The ZANheadgear Full Mask is a complete head covering that keeps your head, face, nose and ears warm. This full face mask will protect against rain, snow, wind, dust and whatever other weather conditions you may be exposed to. 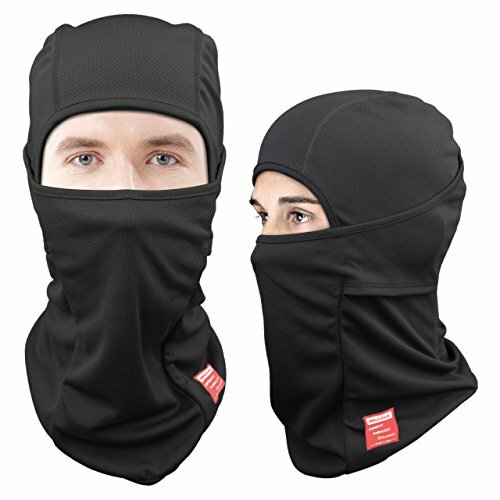 This balaclava has multiple uses and can be used for almost any activity that requires you to keep your face warm. The Dimples Excel balaclava is a full face, head, and neck protecting balaclava. The balaclava is made from lightweight, but very strong and durable material that is breathable and wicks away moisture incredibly well. Multiple wearing options also makes this balaclava very versatile. 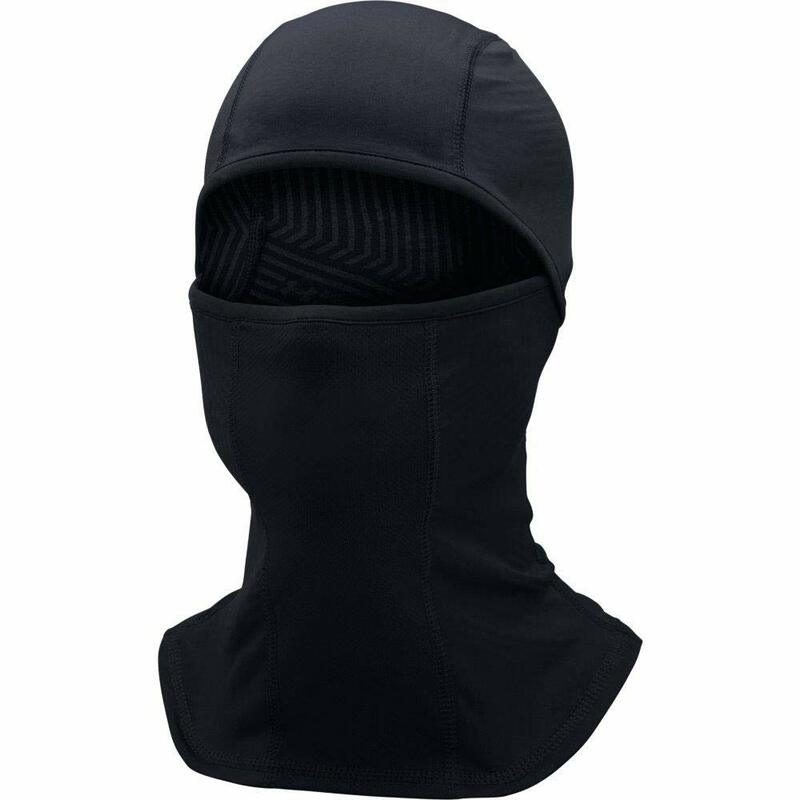 This fleece full face balaclava is perfect for any and every outdoor activity. It absorbs sweat and moisture, keeping you dry and warm on cold days. It is extremely comfortable and warm and ideal for colder conditions and activities, whether you’re snowboarding, skiing, or outside doing winter chores. This balaclava from Self Pro is incredibly warm, made from polar fleece, much like the same material used in winter coats and clothing. The one size fits all is incredibly breathable, absorbs moisture brilliantly, and is super comfortable. 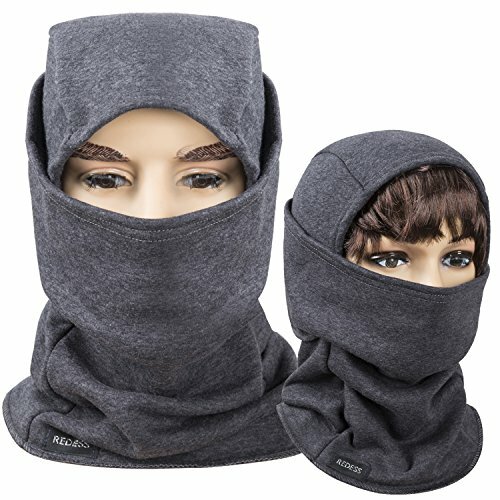 Use these ski masks for any activity during winter and it will definitely keep your face and head warm. 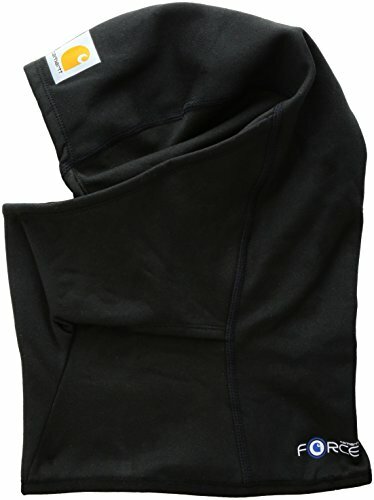 This fleece full head and face balaclava from Super Z is incredibly soft and comfortable. This mask will keep your head and face warm even in the coldest conditions, and the multiple wearing styles allows you to adjust it to your needs. The super high-quality materials ensure it will serve you well for many, many winters. The Icebreaker Merino Apex Balaclava is the definition of warmth, The overlap opening protects you even more from the elements, stopping rain, snow and wind from getting in. It is still incredibly breathable even though it almost completely covers your face, ideal for snowboarders, skiers, and winter sports enthusiasts alike. The UnderArmor Men’s ColdGear Balaclava combines ColdGear Infrared Technology to absorb and retain your body heat as you warm up and stay active out in the cold. With perforations on the mouth to assist with breathability and flatlocked seams to eliminate any irritation, this is a sleek, great option for mobility and style. 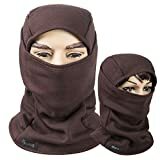 This techie-looking adjustable ski mask from KINGBIKE is versatile and stylish, with a short neck and long neck option. Complete with wind protective panelling over sensetive areas, the balaclava is warm, comfortable and compact, allowing for easy use with a helmet and goggles. There’s a plus size option for those who prefer a loose fitting ski mask, allowing for maximum comfort and functionability. 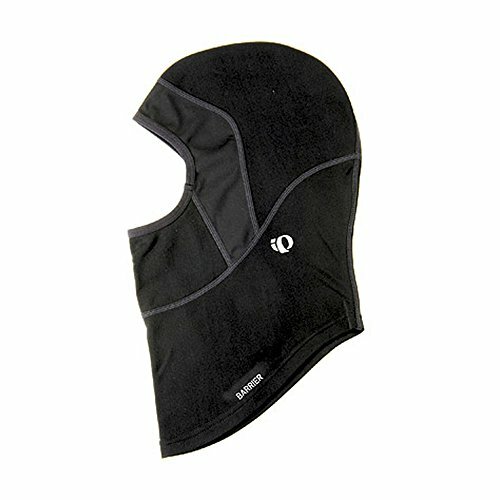 This Ergodyne N-Ferno Balaclava is perfect for use with helmets and goggles. Thin and lightweight, it offers great wind protection and cover, complete with windproof padding panels over the mouth and nose to divert the rush of cold air when you’re moving at high speeds. Arriving in a number of different colourways, it’s the perfect versatile option of a ski mask you may end up using outside of the slopes. The WHEEL UP Windproof Ski Mask is a sturdy, high performance and durable option for the more advanced and experienced snow adventurer. 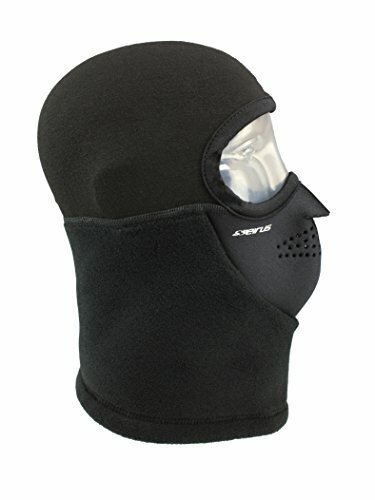 With a zipper at the back for easy dressing and removal, reflective strips all around the head for visibility, and a two activated carbon filters over the mouth for breathability; this is the balaclava for you if you’re heading out for some really intense activity or very extended periods of time. While it may be a little overkill for an amateur, it will satisfy nonetheless and do more than just get the job done. 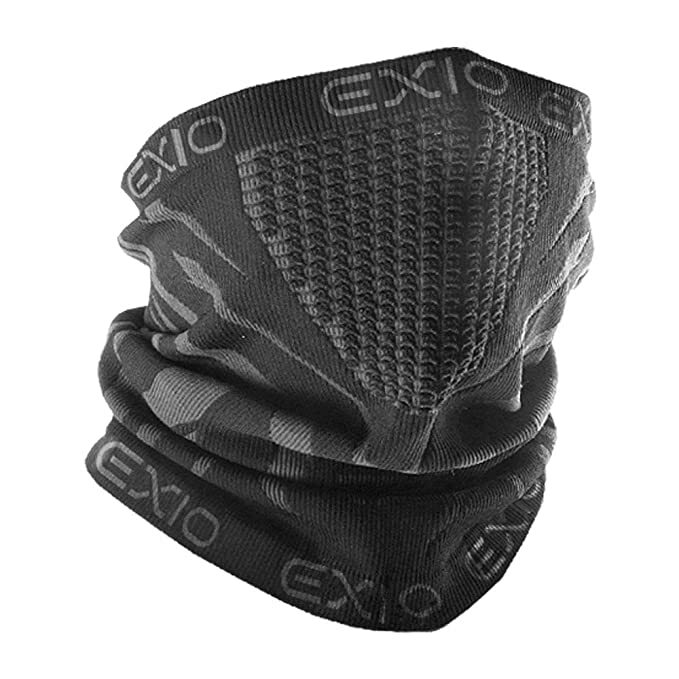 The EXIO half face ski mask is a great option for the warmer parts of the season, or as a backup for your main full balaclava. It offers enhanced freedom and mobility and makes for a comfortable warming wind barrier, without covering too much of your head and allowing you to opt for a beanie or scarf combo. Its 3D Seamless Weaving design means it’s woven as one piece of material with no seams, resulting in increased durability and fantastic contouring. Named after the cold Crimean city of Balaklava, a balaclava or ski mask is a warm head or face cover for use in the snow. Mainly meant to keep your ears and nose warm, they come in a number of different styles to suit your preferred look and functionality. During the 1854 Crimean War, British Troops stationed in Balaklava were left (literally) out in the cold, when their food, warm clothes, and warm shelter did not arrive on time. To make up for this, they were sent hand knitted face masks, which began to be referred to as Balaclavas. Thus the history of the ski mask began. 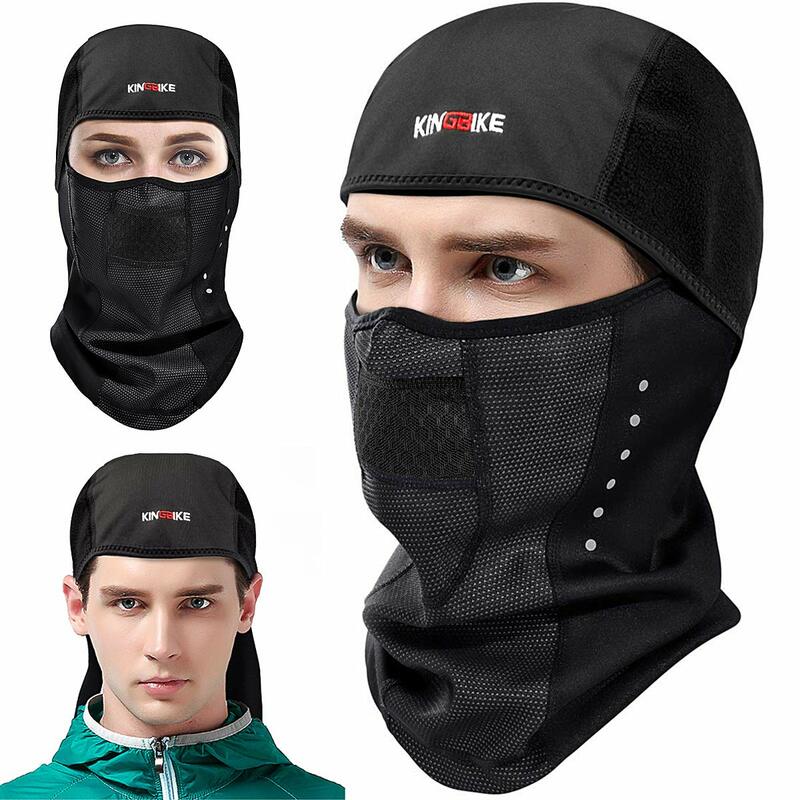 Various types of ski mask can be made from a number of different materials, all trying to achieve the same basic functions: warmth, comfort and utility. 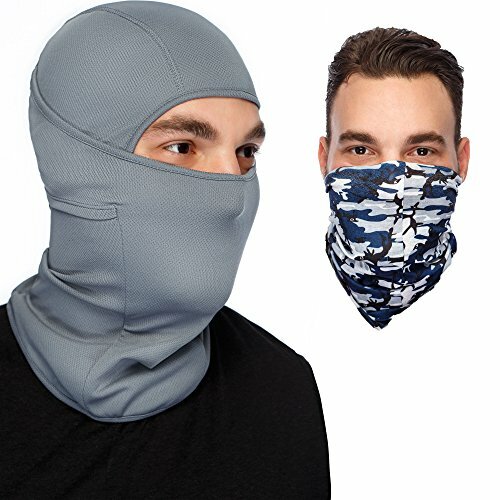 A good breathable ski mask should feel comfortable on your face (neck and throat too, depending on the style), warm but not overly stuffy, and shouldn’t allow the condensation from your breath to make it freeze up to any large extent. It’s important that whichever one you end up choosing be not only functional, but comfortable for long periods of use, as when you’re all zipped, helmeted, and gloved up, it can be difficult to adjust or remove your balaclava. Neoprene Ski Masks are gaining popularity due to the combination of flexibility and sturdiness they provide. With woolen masks previously being the most common, it’s clear to see that above all, people are looking for the warmest face mask. While comfort is the first thing that comes to mind when considering a breathable face mask, there’s always a danger of frostbite when your nose and ears are exposed in sub-zero temperatures. It’s also somewhat important to take fashion into account – skiing has a history of flashy looks and stunning colors and patterns, and so facemasks have grown similarly alongside them. Even some of the most high-tech and extreme balaclavas come in novelty styles and designs, with nifty graphics and accessories. While ski masks can range drastically in price, it’s always important to weigh up the benefits between a great deal, and a mask of durable and reliable quality. Ultimately, the balaclava you choose will be the barrier between the most important parts of your head and the cold – so it’s important to choose wisely when picking skiing face cover. This is the most common option, which covers the head and most of the face, and usually some of the neck. Most balaclavas have mouth and eye holes, with some having a simple full circle cutout for the center of your face. They’ve been in use since the beginning of skiing for a reason: they get the job done, they keep you warm and deflect the wind, with the added bonus of being a nice padded layer in between your head and your helmet. Balaclavas can often be rolled up to become some kind of beanie, which always a nice option to have when you’re hot and sweaty under layers of thermals after bombing slopes all day. Bandannas are more commonly worn by snowboarders, but you’ll see people on skis wearing them too. The main advantage of a bandanna over a balaclava is the mobility factor – they’re a lot easier to adjust in terms of the tightness of the fit, and quick and precise head movement gives you a more flexible feel. While they might not provide as much surface cover on your skin, they’re a great second option if you’re looking for something less restricting than a balaclava, however, if the weather is too cold then it’s always wiser to go with an option that covers more skin. 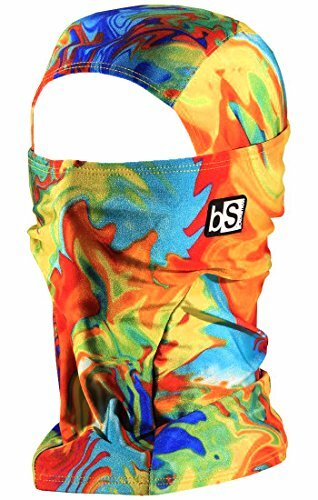 Bandannas also generally come in many different colors, styles and patterns, which makes them the perfect cool ski mask to add to your kit. You might even find one with your favorite team logo or symbol on it. When it’s simply too hot for a full balaclava, a half face ski mask can be the prime option – especially when entering and leaving the coldest time of year. These come in a number of different shape and sizes, but most commonly start midway down the neck and end just above the nose.As such, these are best paired with a beanie or head warmer of some kind, giving your skin a lot more room to breathe. 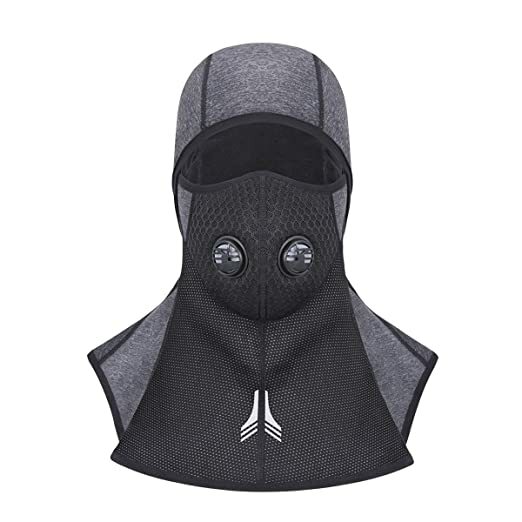 The added bonus of a face mask, aside from some of the more creative designs featured on the, is the fact that they’re not too hot, and as such are great for everyday winter use outside of skiing or snowboarding. You’ll see many people using them when hiking, cycling, or even just commuting in the cold weather, giving these half masks a real bang for their buck. Neck warmers are a great addition to any style of ski or snowboard balaclava. Somewhere between a buff and a scarf, they make for a warm and comfortable accompaniment. Adjustable and versatile, they can help seal that gap between your ski mask and your thermals (ideally polo necks). They work best in combination with beanies, half face masks or bandannas, and are once again a great opportunity to get some style and flare going with your outfit. You’ll probably want a neck warmer made of a very flexible and loose fabric which would allow for as much movement and bending in the neck as possible. All these options are best considered in relation to how long your trip is going to be, and how much time you’re going to spend on the slopes; your own personal experience, and above all your style and taste. We all know lack of warmth on a cold mountain can really dull the experience, so it’s good to plan ahead so that you can spend as much time on the slopes as you wish, without worry. Paired with a sturdy set of gloves and goggles, a good balaclava will have you set for the winter. See where you going, get a great pair of ski goggles. Pack everything with you, get a ski bag with hydration! Going camping? Don’t freeze at night and get a cold weather sleeping bag. Finding the right balaclava for your needs can be a difficult process, we’re hoping this guide has given you some direction in finding the right one for you, whether you’re a skier, a snowboarder, or a winter sports enthusiast.